The City of Santa Clarita, is the fourth largest city in Los Angeles County, California, and the 24th largest in the state of California. The city has annexed a number of unincorporated areas, contributing to the large population increase. It is located about 35 miles northwest of downtown Los Angeles and occupies most of the Santa Clarita Valley. It is a notable example of a U.S. edge city or a boomburb. 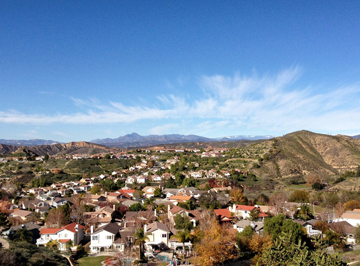 Santa Clarita was ranked by Money magazine in 2006 as 18th of the top 100 places to live. Six Flags Magic Mountain amusement park and Stevenson Ranch are both commonly associated with Santa Clarita but are located just outside the city limits.